Warsaw, Poland’s capital city, was another great surprise. The city has suffered a virtual destruction towards the end of World War II, but it has survived and resurrected. As a result, it comprises a collection of neighbourhoods and landmarks, where restored Gothic, traditional communist, and modern glass structures sit side by side. Like most capitals and cities in Europe, Warsaw has its classic Old Town with a central square, surrounded by traditional buildings and arguably low-quality and expensive restaurants. This square is called Castle Square, and it is a great idea to use it as the starting point of the so-called Royal Route, which comprises five connecting streets with important monuments and buildings, such as the University of Warsaw, the Church of St Anne, the Nicolaus Copernicus’ monument, and the Polish Academy of Science. You can then walk along Nowy Świat street, which congregates a good variety of bars and cafés, to then end up in the next attraction on this list, The Royal Park. It is the largest and most beautiful park in Warsaw, occupying 76 hectares of the city centre. It comprises extensive and manicured gardens, trees and flowers. The park is also home to a number of palaces (including the main Palace on the Water), a neoclassical amphitheatre and a good amount of friendly peacocks and squirrels. 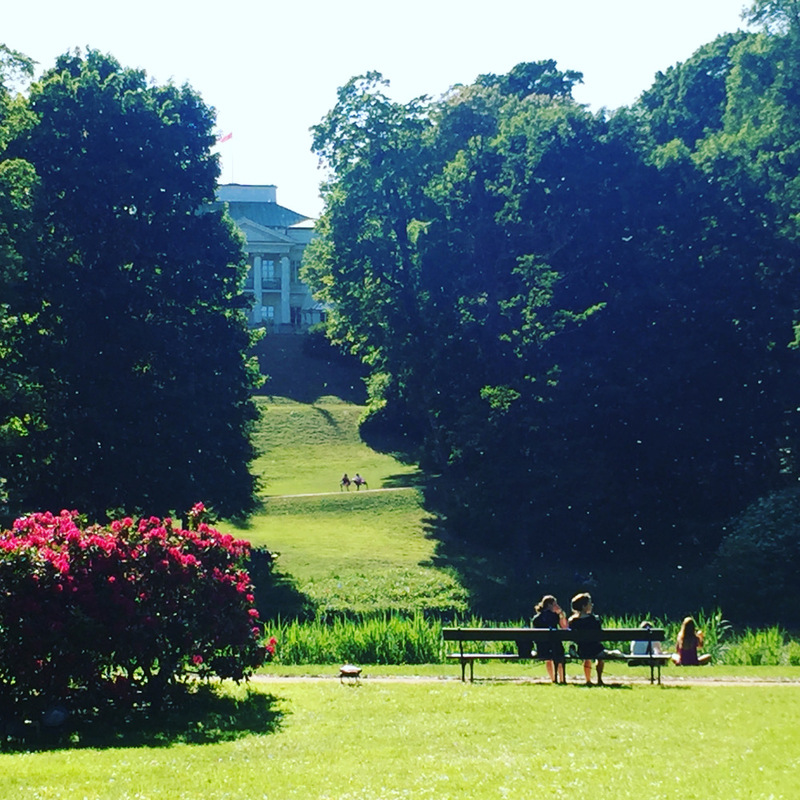 There are normally free activities in the park, such as yoga and meditation classes, and even concerts dedicated to former resident Fryderyk Chopin at the Royal Lazienki gardens throughout the summer (Sunday afternoons at noon and 4 pm from mid-May through September). Bear in mind that in some areas of the park you are not allowed to cycle. It is not clear where because we could not see any signs, but some locals told us about it. This is, in my humble opinion, the most impressive building in Warsaw. It is not quite accepted by locals, due to a couple of reasons including its historical context, but it is quite stunning nonetheless. 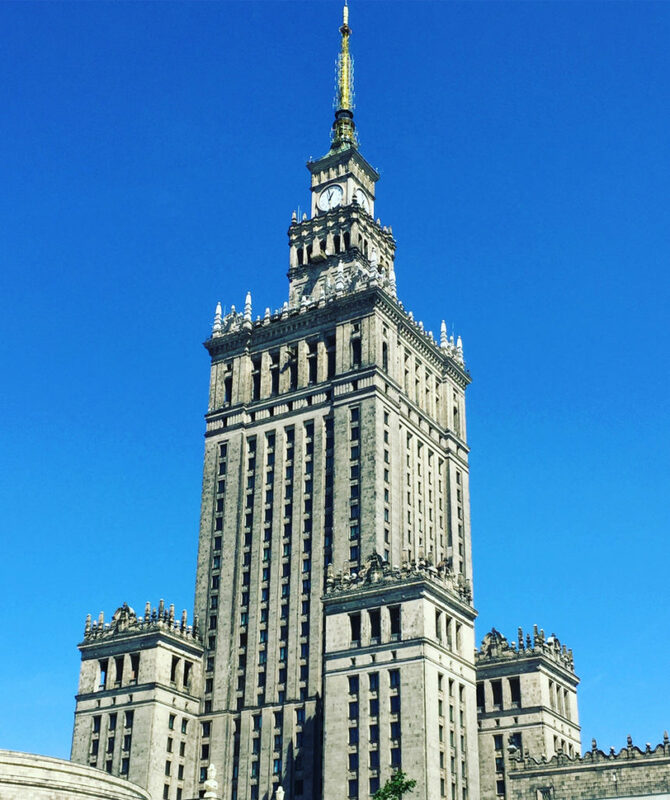 It was a “gift” from Stalin’s Soviet Union in the early 1950s, and it remains the tallest building in Poland with 231 metres. It is now home to a huge congress hall, theatres, a multiscreen cinema, galleries, museums, coffee shops and restaurants. Communist or not… ugly or not… loved by residents or not… you must visit this iconic building, where you can buy a ticket and take the lift to the 30th floor, where an observation terrace and a café would be waiting for you. 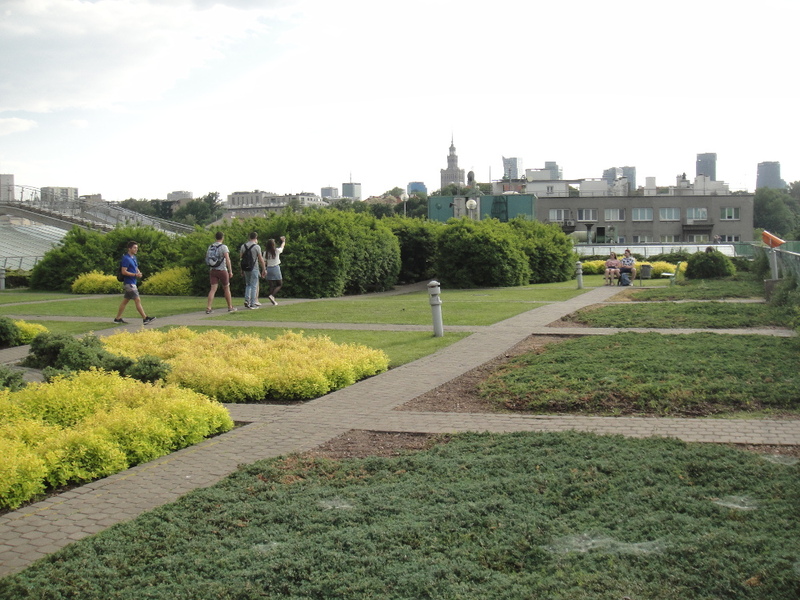 By pure chance, when we were at the Palace of Culture and Science terrace, we found a picture of the Warsaw University Library garden, so we ended up there. And it was a big success. The main library building is next to a small park where regular events for students take place, and its terrace is also home to lush greenery, including flowers, trees, tunnels, bridges, benches, stairs, glasses and more. Moreover, and if you are lucky with the weather, you can enjoy pretty views of the city and the river. 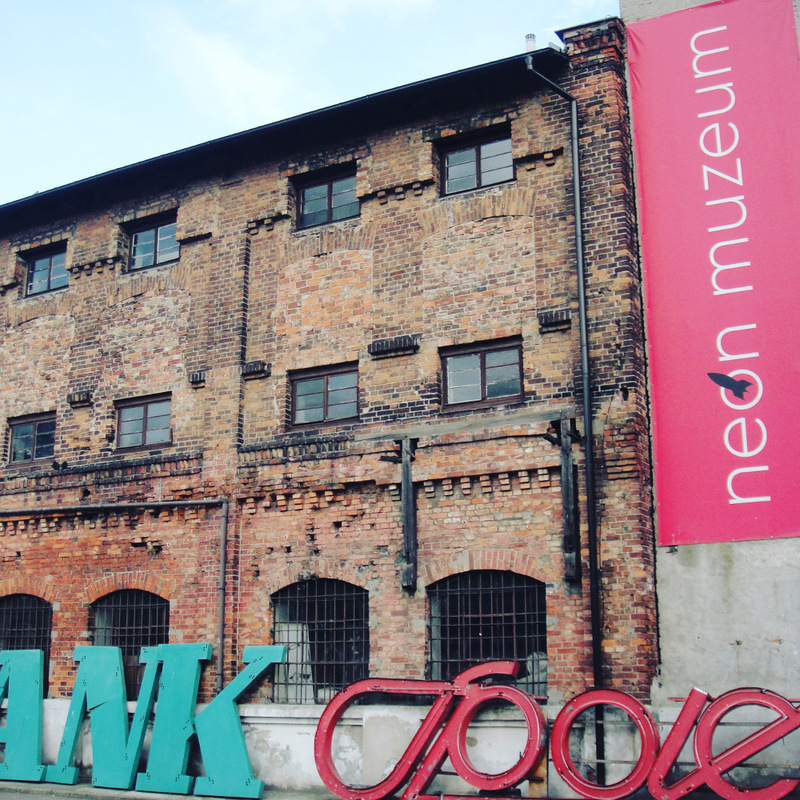 There are a few museums to visit in Warsaw. The most popular is the Warsaw Rising Museum, which presents the history of the heroic uprising against the German occupation in 1944. It is a must for people interested in history and wars. There is an impressive volume of material, including replicas of the sewer tunnels and bunkers, a full-size B-24 Liberator aircraft, a wall that emits the noises of battle, extracts from newspapers printed at the time and other multimedia. The History of Polish Jews is a modern museum which permanent exhibition opened in late 2014 and won European Museum of the Year in 2016. It offers a great variety of multimedia to exhibit 1000 years of Jewish history in Poland, from the early traders to the end of WWII. Chopin Museum: it contains material about the life and music of the great Polish composer, and also his last piano. Copernicus Science Centre: it offers permanent displays, regular events, workshops and seasonal exhibitions about science and astronomy. And yes, Nicolaus Copernicus was also Polish! Neon Museum: it is devoted to the preservation of the iconic neon signs of the communist era. It is located within the cool Soho Factory complex of old industrial buildings and surrounded by other designers and artists shops. But the district is not small and there are a few places to visit. 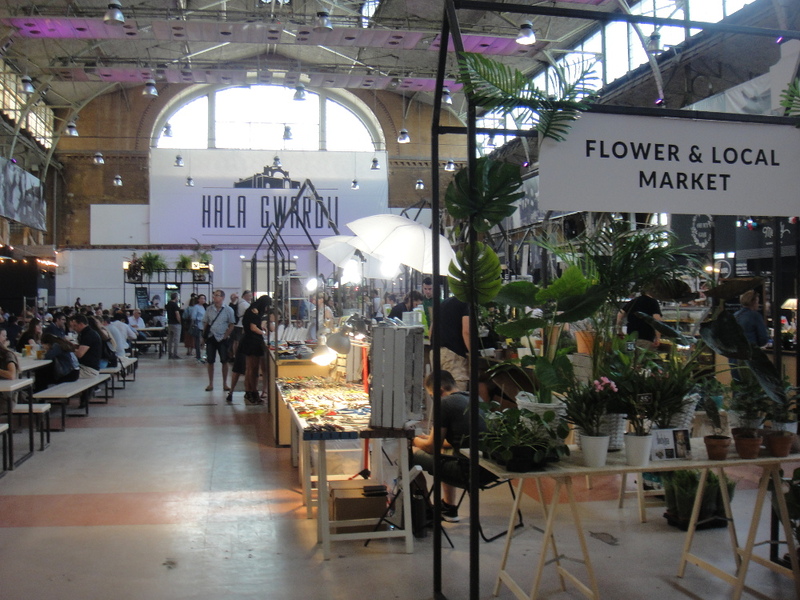 The most popular place is Soho Factory, a resurrected post-industrial zone mixed with new developments, now home to art galleries, boutique designers and stylists, retail and office spaces, the Neon Museum, and one of the city’s best Polish restaurants, Warszawa Wschodnia. Poland’s best and finest chocolate is also made in Praga district, in the Wedel Factory. They offer daily tours and has a gift shop and a small café serving coffee and hot chocolate. A few minutes away from Praga (you will probably need to cycle or take a bus) is the green residential area of Saska Kępa, which is also worth visiting. 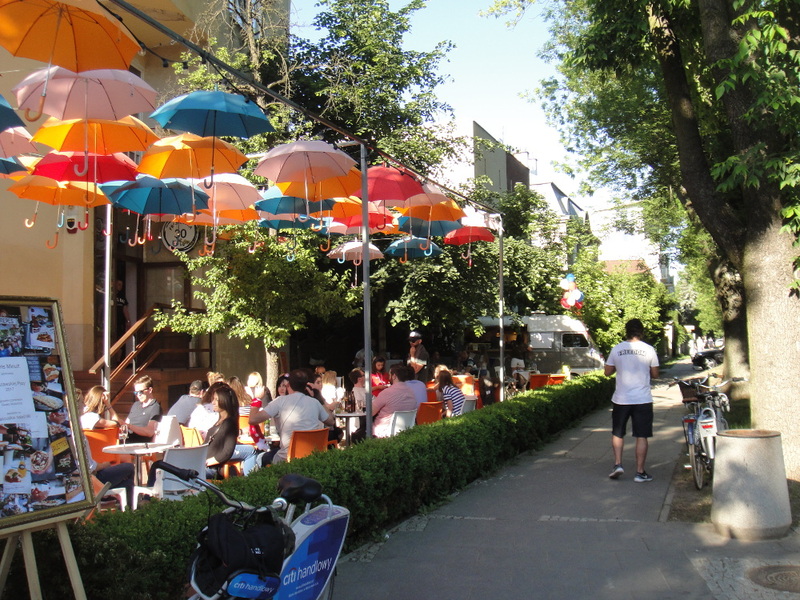 Walking down Francuska Street you will find lots of shops offering ice-cream, craft beer, pizza, and coffee. One very famous if called F3, with a garden full of colourful umbrellas as a ceiling. There is a great article about hipster places in Warsaw in this link. The Royal Castle was a residence of the Polish royalty between the 16th and 18th centuries. It was completely destroyed by the German army during WWII and reconstructed in the 1980s, preserving its original architecture. It is filled with furniture and works of art, including the Polish kings’ private collection. The tour includes the Great Apartment and its magnificent Great Assembly Hall, The Disentanglement of Chaos painting, a Marble Room with 22 portraits of Polish kings and The Throne Room. There are a few different areas with good spots along the river bank. One area that we liked was plaża Płyta Desantu, near the Łazienkowski bridge. 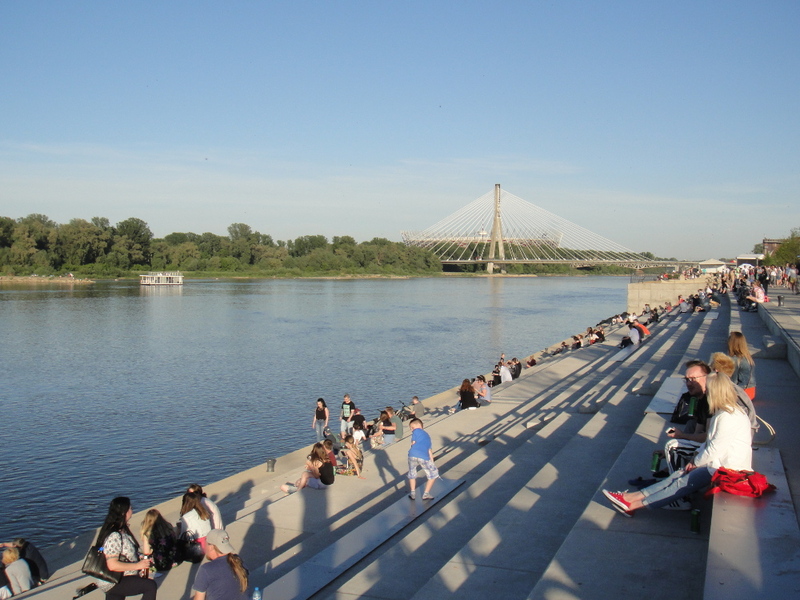 Relaxing vibe with a sand space by the river a couple of pubs (Cud nad Wisłą), and also a small food court on top of a hill (Przylądek Miami Wars). Another pretty area to walk or cycle is next to the Śląsko-Dąbrowski Bridge (picture above). There are a large sitting area and a couple of bars and restaurants such as Francuski, Literacki, Polski Restauracja and Amerykański. It used to be a gym and sports club and was reopened to the public in 2017 as a food market. It is spacious, clean and tidy, with a nice ambience and a good number of craft stalls selling local and international produce. The walls are adorned with legends of the Polish boxing scene. The corridors on the edges if where most of the hot food stalls are. There is a good variety including pizza, burgers, Brazilian chicken, tikka masala, raclette, fish, burritos, falafel, humous, steaks, tapas and more. There is a space with chairs and tables where you can sit and enjoy your food. It is opened on Sundays when most of the markets are closed. There are events such as live music in the evenings. Where to stay in Warsaw? 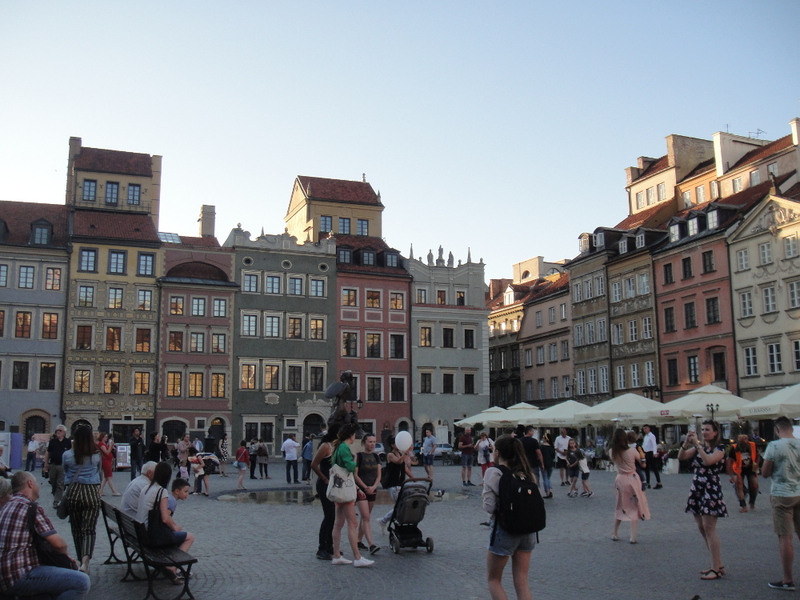 Warsaw is much cheaper in comparison with other European capitals. So even if you are travelling with a low budget, you may be able to afford a reasonably good hotel, even 4 or 5 stars depending on your specific situation. You should be able to find one of those for around USD 80-90 per night for a double room. We stayed at Mercure Warsawa Centrum. It was a great choice, as the hotel was quite good and extremely well located. Metres away from Warszawa Centralna train station and the Palace of Culture and Science, and also from the departure/arrival area of the buses to the airport. Moreover, it is opposite Złote Tarasy shopping centre, and close to the Old Town. This district is called Śródmieście, and there is also an area with bars on a street called Parkingowa, especially between Zurawia and Nowogrodzka. You can find PiwPaw, a pub with 100 beers on tap, and also some other cocktail bars such as Tarantino and Meta Disco. Other alternatives for acommodation in the area are Novotel, Radisson Blue and Golden Tulip. And if you are looking for something more classy I would recommend Bristol.